Needless to say, these photos were taken last week! I've had to say haiii to hail, wahoo, so I doubt I'll be cracking these shorts out for a little while again! Although, I am going on holiday in just over 3 weeks - actual wahooo - so hopefully hail won't feature on my little escapade. 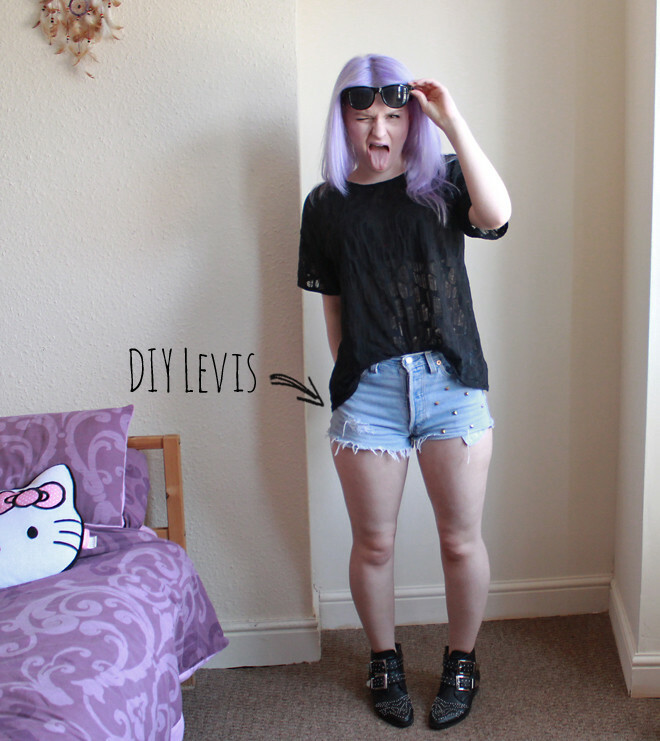 A couple of summers ago I sold customised Levi cut offs on eBay to make a bit of cash. It was so unfortunate that this pair fit me too well to sell! They're definitely short-shorts. Cellulite is proabably (definitely) on display, but hey, that comes with being female (and eating too much cheese). Well, I have an exam next week that I've not even got around to revising for (I think I went a bit OTT with chosing research based modules... eeek), so I'd best get started with that... Good luck to anyone else with exams! Let's hope my brain decides to digest everything in the space of a week eh. Loving the new hair hun and the studding! Enjoy your holiday and your hair is just amazing! I seriously want your hair. Wish I could do something like that with mine! oh my word your hair! wish i could pull that off as well as you! Oh my gosh Robyn, I haven't been on your blog for a while so I missed the day you changed your hair. IT ROCKS! 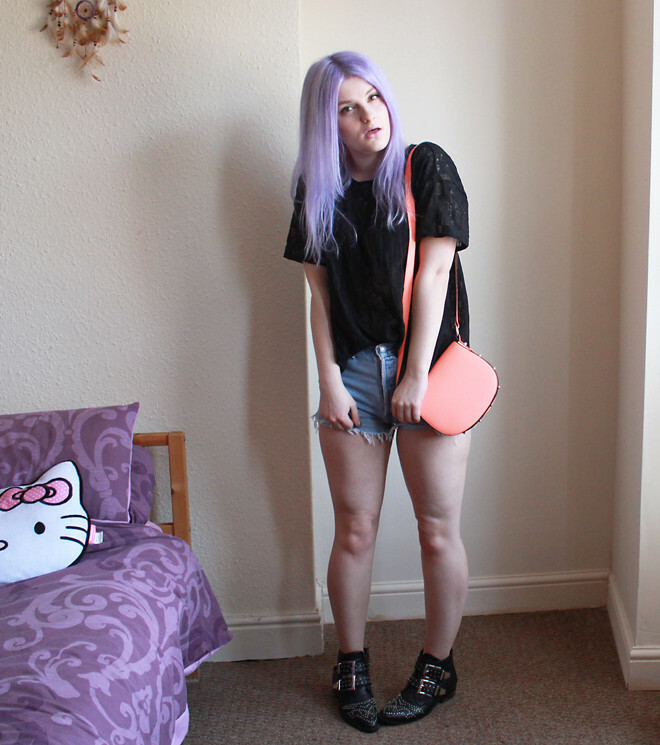 I have wanted lilac / pink / turquoise hair for ages now but I just don't think I can pull it off. PS) finally blogged the skirt I won in my latest post, yay! Loving your lilac hair! And great shorts, I really need to get around to doing some DIY! I love your hair I just did a how to on going blue.